This weekend, I had an unusual schedule. I played short musical sets for two different events–one each day–in the same building at a local college! In fact, I stood not more than 10 feet away from my Saturday show when I did Sunday’s. I played different basses, too,for different kinds of music. But this isn’t about music. It’s about a charging opportunity. Normally, I charge the car at work, or occasionally, at home. Home is slow, at Level 1 household current, but it helps top off the tank, so to speak. However, when I pulled into my musical destination this Saturday, I was looking for a parking spot close to the door. I saw one, and when I got close, realized it was for electric charging! I could plug in to ChargePoint while I was playing. Hooray! As it turned out, I filled the battery to 100% while I was playing my 12 minutes with my band, Tablues, and listening to the other bands in the 53rd Annual Hayward Battle of the Bands. Today, Sunday, I performed with the Castro Valley Chamber Orchestra in a classical show featuring Bizet and Strauss. This time, I knew where to park, and snagged a spot. I even had a 500e companion! That’s 2 for 2. It’s lucky when you can use your car’s down time to charge up. Interesting side note. Today, as I drove to the college where the music was happening, a woman in a Lexus waved to me as we were stopped at a light. I rolled down the window. She asked me how I had driven my little electric Fiat 500e all the way from Michigan! You see, Fidelio, my test car, comes from there and wears a Michigan rear license plate. He was trucked here before being turned over to me. Of course, driving an electric car that’s not a Tesla across the country would be nearly impossible–or certainly very challenging. Funny. What’s MPGe? Why Should I Care? When the United States Environmental Protection Agency (EPA) began measuring the fuel economy of cars decades ago, they created a miles-per-gallon (MPG) rating. It was designed to be posted on the Monroney (window) sticker, so consumers could compare different cars when they were shopping. So, in 2010, in response to the arrival of the new Chevrolet Volt plug-in hybrid and the Nissan Leaf all-electric vehicle, the EPA came up with the MPGe rating–miles-per-gallon-equivalent. See this Wikikpedia entry for more detailed information. I went to my favorite comparison/information hangout online–fueleconomy.gov–and set up a comparison between four kinds of cars, including my Fiat 500e. The Fiat represented a pure electric vehicle, I listed the Chevrolet Volt as a plug-in hybrid, the Toyota Prius as a regular hybrid, and the popular Honda Civic sedan as an efficient “regular” internal combustion engine (ICE) car. Here’s what I got. Check it out for yourself. There are lots of numbers there, but here’s what I take away from it all. Electric cars have only the MPGe/MPG score, and it’s much higher than the MPG scores. The Fiat was tops in this comparison, with the Volt just below, with the two non-plugin cars way below. Use this number to compare all-electric cars to each other (and check the range, too). Hybrids are much more fuel efficient than regular cars. Keep in mind that the Prius has the best fuel economy of any hybrid car, and the Civic is one of the most fuel-efficient ICE cars. 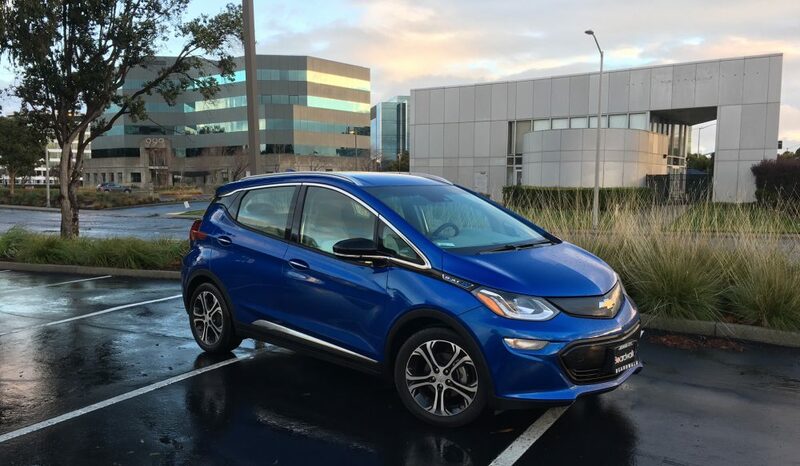 Driving the Volt in electric mode–keeping your trips within the battery range and recharging regularly–delivers nearly as good a rating as the Fiat. Driving it long distances using only gasoline isn’t much better than the ICE Civic. But if you’re the typical driver, and make sure to charge up regularly, and you’ll get the best of both worlds. Hybrids, like the regular Prius, don’t plug in (there is a plug-in version too). They’re given an MPG number based on overall performance, because they switch back and forth between gasoline and electricity, depending on driving conditions. The numbers look pretty good, though. The Prius, in this four-car comparison, saves the most per year compared to the average car. Remember, there are lots of other factors, though. Still interesting. Notice there’s a “per 100 miles” measurement in the same box that contains the MPGe and MPG number? That’s where the “equivalent” comes in. The Fiat, for example, shows 30 kWh per 100 miles while the Honda shows 2.9 gallons per 100 miles. The question then comes–how much does it cost for 2.9 gallons of gas or 30 kWh of electricity? My experience, using a public charger at work, is that I can get around 15 kWh (about 50 miles worth) for a couple of bucks. Gas, in California now, is currently running about $2.25 a gallon. Doing the math, the Honda costs roughly $3.50 for gas for the $2.00 the Fiat runs. Charging my car at home, at night, would likely run a bit less. Are you enjoying that comparison chart? Good. Now, click the Energy and Environment tab and you’ll see where electric cars come out on top for greenhouse gas emissions. The Fiat gets a lovely zero grams per mile. The Volt is mighty good at 51. The Prius more than triples that to 170, while the Civic gets 256. Many larger cars can emit 400 or 500 grams per mile. So even downsizing from a large to a smaller ICE car is an improvement. Yes, it’s true that an electric car must use electricity that’s generated someplace using some method that could cause an environmental impact. And there’s the fuel that went into the tank of the transporter truck that delivered your EV to the dealership. Ideally, you generate power from solar panels on your roof, although remember, some energy was consumed to produce the panels. If your power is generated using hydroelectric, wind, or a giant solar farm, you’re good. Natural gas–not as good. Coal–not good at all. Here in California, there are no coal-powered plants (as far as I know), but PG&E, the utility, could buy power from another company that used coal to generate it. We have some nuclear power generation here, too. Still, at this point, there are many fine reasons to drive an electric car, if it fits your lifestyle. But even driving a Prius cuts your carbon footprint down significantly. If you work it right, a plug-in hybrid, like the Volt, would be even better than the Prius (the more you use the electric and the less you burn fuel). And if all else fails, you can still drive a Civic instead of a Cadillac and reduce your environmental impact a bit. Until we have affordable electric cars with a 300-mile range, these other options–plug-in hybrids, hybrids, and highly efficient regular gas-burners, will have a place in the automotive market. After a week of easy, pleasant commuting, Fidelio, my little blue Fiat 500e, proved excellent at taking me on some weekend errands. On Saturday, I started out at Safeway, for some groceries and household items. Next, we drove a couple blocks to the Post Office. I got a good place in the lot in front, between two hulking SUVs–a Ford Explorer and a Chevrolet Tahoe. That was easy. Next, I drove home and picked up my bass and amps for a band practice at Ed’s place. Ed has lots of room for cars in his yard. All my gear fits into the back, as long as I drop the rear seats. I’d say that was a successful Saturday of schlepping around without using an ounce of gasoline. On Sunday, I took Fidelio down to Pete’s Hardware to buy a few screws to fix my amplifier head. That was easy. Ha ha – looks like my little car is getting sawed! Sadly, when it came time to go to San Jose, 40 miles away, I had to leave him home and take my wife’s regular old gasoline car. The errands had used up just enough range to make an 80-mile round trip, mostly high-speed freeway driving, a little too close for comfort. Today, I read on the Clean Fleet Report website an interesting piece by Michael Coates about the Bestselling Electric Cars in the U.S. in 2015. Take a look and you’ll see the usual suspects. The top seller was, surprise surprise, the Tesla Model S, with 25,700 sold at $63,700 apiece after tax credits. The Nissan Leaf, the previous leader, placed second, with 17,269, at a much more affordable $22,360 after tax credits. My baby, the Fiat 500e, came in at 7th place, with 6,194 sold at $25,700, after tax credits. Read all about them in the article. The point, though, is that even though sales are increasing, this represents a minuscule portion of the car market. 2015 was a huge year, with around 17.5 million vehicles new vehicles sold. The industry has, by pretty much any standard, recovered, although not all companies are succeeding as well as others. As I drive Fidelio to work and back I see a smattering of Volts and Leafs, an occasional “twin” 500e, and a Tesla or two, but we are a tiny minority. Mostly, we’re swimming in a sea of gas-burning cars and trucks of all shapes and sizes. If we want to have an impact on the CO2 problem, there have to be LOTS more electric vehicles on the road as soon as possible. Please join us. Even driving a new Chevrolet Volt, which features a gas engine along with its electric motor, has an all-electric range of up to 53 miles, which can make an impact.